Susan recently played the roles of ‘Hannah & Beth’ in CALIFORNIA SUITE, at The Mill, Sonning. Her other Theatre roles include a UK tour of CRANFORD in which she played the role of ‘Mrs Forrester’. Prior to that she played ‘Grace Kingsley’ in the UK Tour of FATAL ENCOUNTER. Susan also played the role of ‘Gwendoline Pidgeon’ in THE ODD COUPLE ,’Clare Cooper’ in Brian Clemen’s MURDER HUNT and ‘Cooper’ in SEPERATE TABLES, also at The Mill Sonning. 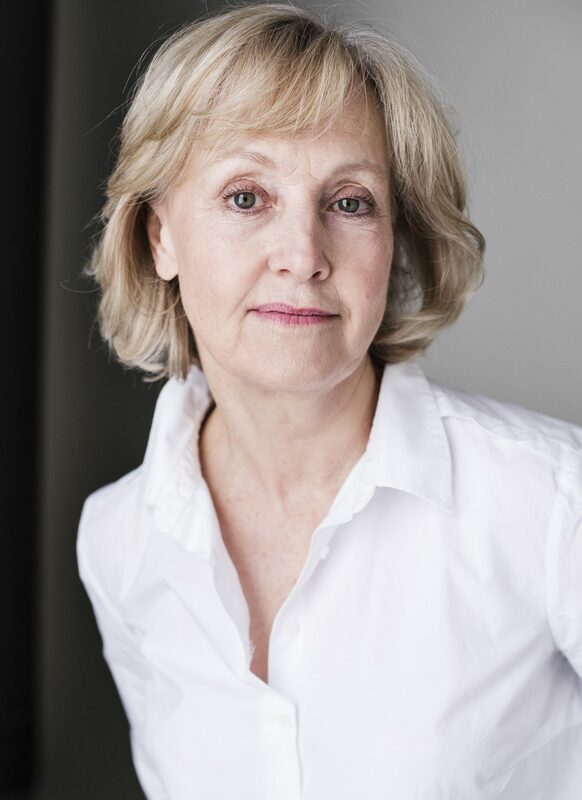 Her television work is extensive and includes ‘Victoria’ in four series of THE CEDAR TREE, RAFFLES, PRINCE REGENT, SORRY, and more recently the children’s series KEVIN AND KRYSTAN. She also played Greta in Cecil Clarke’s production of THE DANCING YEARS for ITV, and she was ‘Madeline’ in six series of the BBC comedy hit DON’T WAIT UP.